I could easily sit down and make a list about all the reasons I would want to go to Hawaii. Discounted flights and hotel rooms would top the list, but the active volcanoes, fresh pineapple, beautiful beaches and aloha spirit certainly would also make the list. Add on top of that a great promotion over at United for savings of $200 and it looks like I’ll be packing up my favorite swimsuit and getting ready to get my tan on. 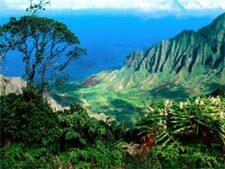 Save up to $200 to Hawai’s Big Island! Book a flight + hotel package and use promo code ISLANDSALE. Book by 5/15. Taking advantage of this fantastic deal to the Big Island? Home to the Hawaii’s active volcanoes and Volcanoes National Park, you will certainly not be at a loss of interesting things to do when you aren’t hanging out on the beach. For those who are more interested in beach lounging and learning how to surf will also have plenty to do. Plus, with the $200 you saved on your vacation, you can easily afford to take a surf lesson (or buy a few mai thais).